I've been wanting to try out Clarisonic cleansing device for the LONGEST time to solve my clogged pores issue. 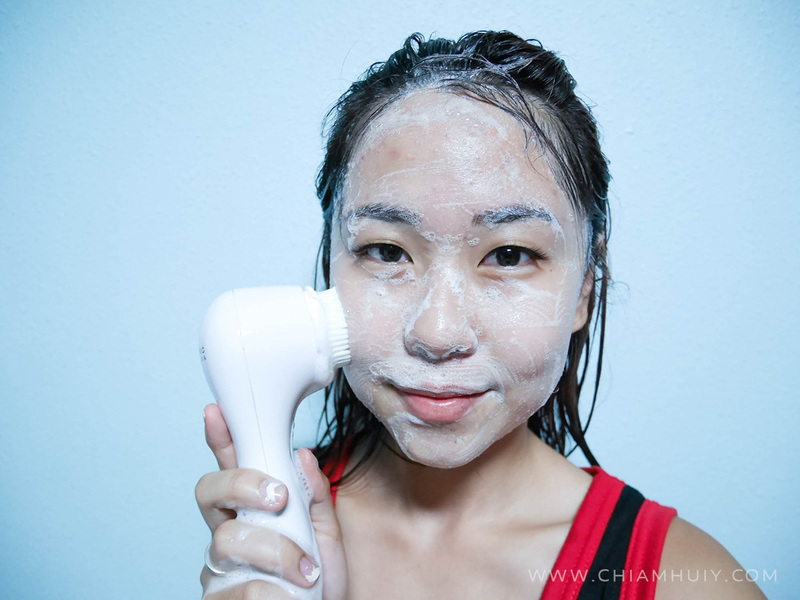 Despite going for multiple facial sessions, the clogged pores issue just keep coming back and I was seriously wondering if there's something wrong with my cleansing routine. Before I got my hands onto this, I've heard many good reviews and raves about this Clarisonic device from my girlfriends, so much so that I really wanted to buy it myself! Now that I have finally get my hands on the Clarisonic Aria and the SonicRadiance series, and I've been using them for more than two weeks, I'm here to tell you how amazing a Clarisonic cleansing device is. 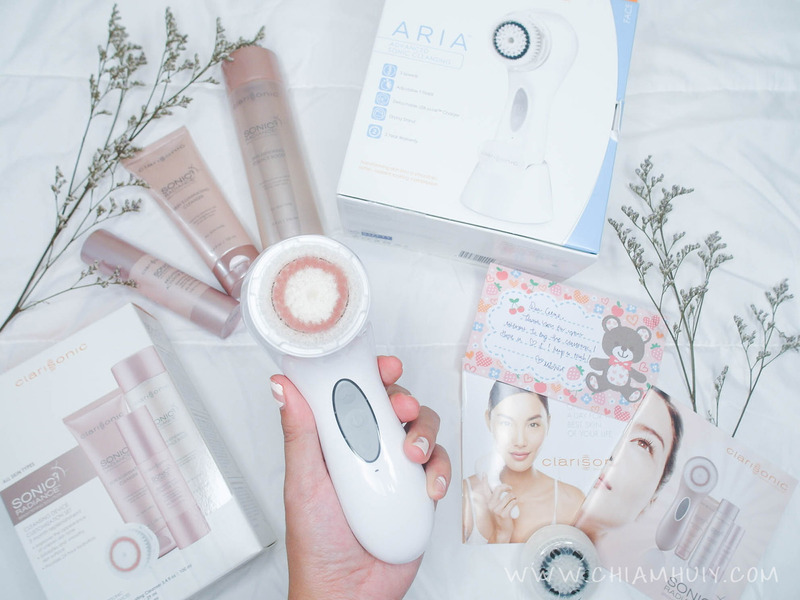 Here I have the Clarisonic Aria Cleansing Device. But since I was also given the Sonic Radiance range, i would like to review the range's brush head together with the skincare. Each cleansing device however comes with their own brush head. You can purchase the brush head, and sonic radiance skincare products individually. For now, I'm using the brush head from the Sonic Radiance range. 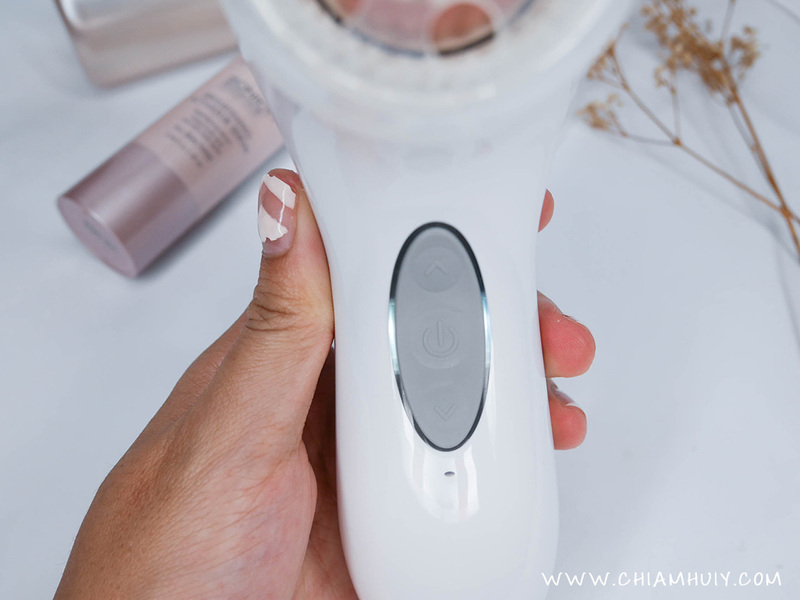 Do you know that the cleansing device is entirely waterproof too? That makes it very convenient to clean and use at the same time! 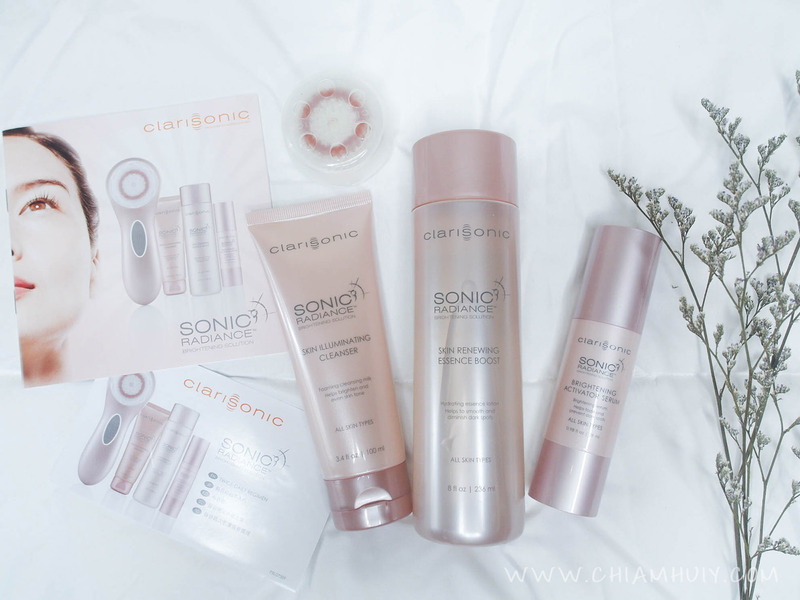 The Clarisonic Sonic Radiance Skincare range starts off with its Skin Renewing Essence Boost. It is a hydrating lotion which doubles up as a toner to smooth the skin and diminish dark spots. I agree completely and would be happy to testify that it really does help to smooth my skin. As I began using this skincare regime right after my facial session where blemish scars were all over my face, I did see an improvement in my skin texture and dark spots! 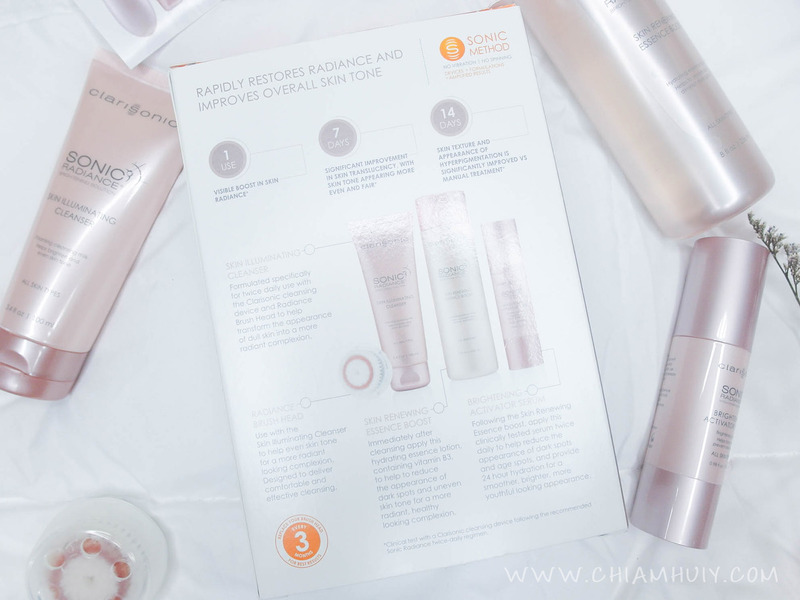 After patting in the toner/essence boost, I move on to Clarisonic Sonic Radiance Brightening Activator Serum. 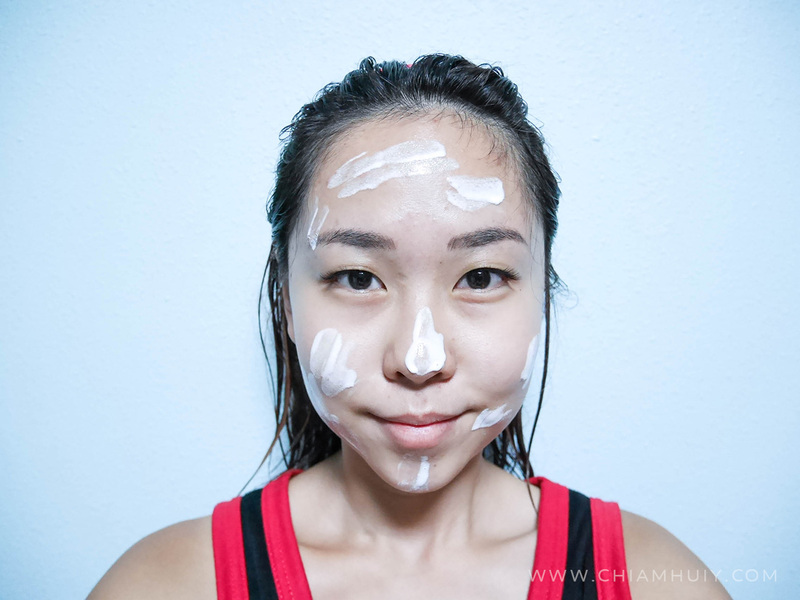 You know how sometimes photos are can't really tell the true efficacy of a brightening product because sometimes camera just has the ability to take brighter or darker photos? Under such circumstances, there's another thing that you can rely on - people's honest remark. I admit I myself can't tell the difference reason being I see myself in the mirror every single day. But this absolutely doesn't apply to the people I meet! Long story short, many people have been complimenting my skin tone and they all claims that my skin has a very nice dewy glow! 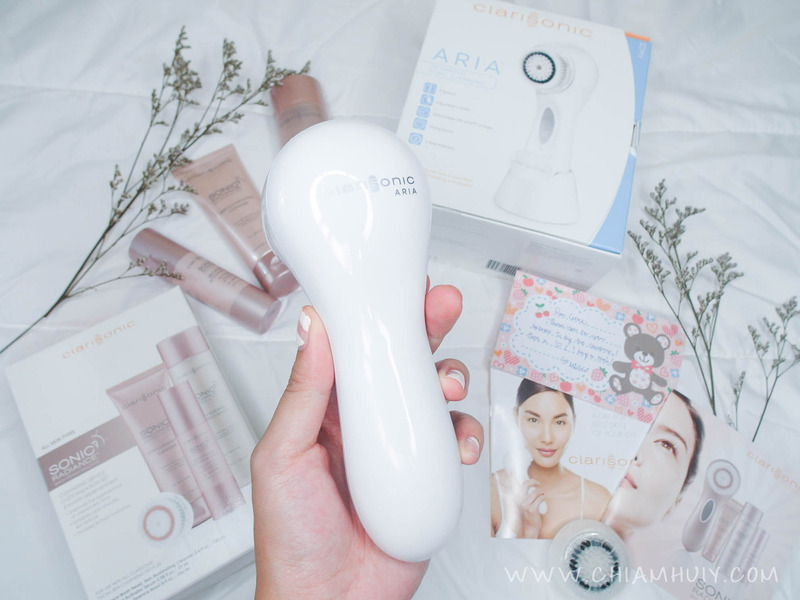 How I used the Clarisonic Aria Cleansing Device. 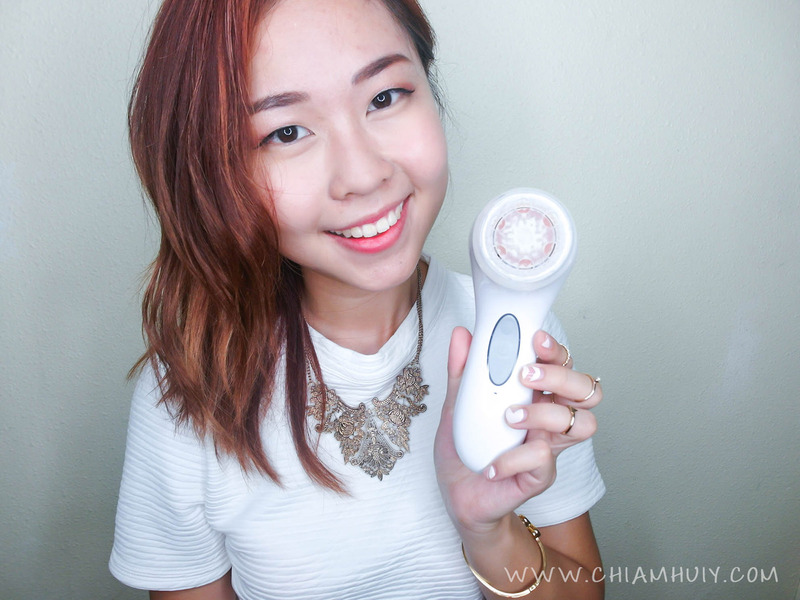 The clarisonic cleansing device is truly the groundbreaker for me and my skin. 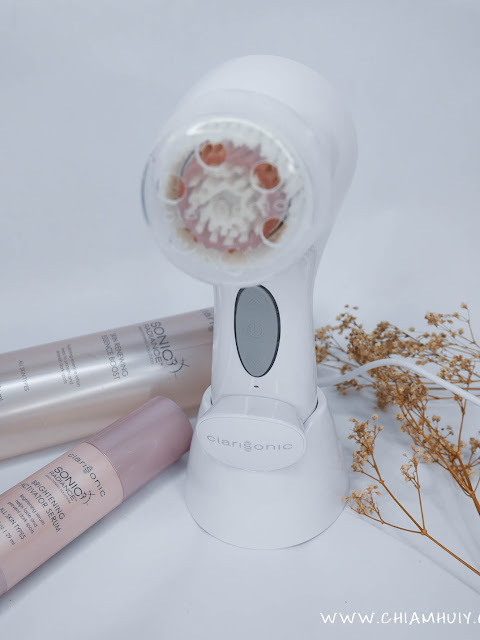 This cleansing device has a patented sonic technology that oscillates back and forth, more than 300 movements per second. 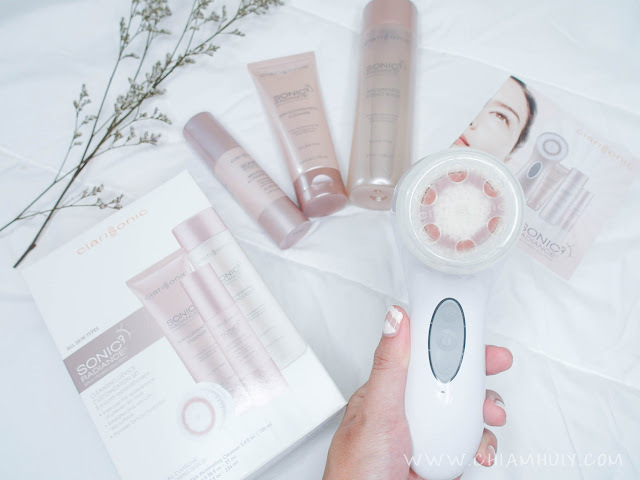 This oscillation feels like vibration on our skin but truth is, each movement is actually lifting all impurities from our pores so that our skincare products can be easily absorbed. 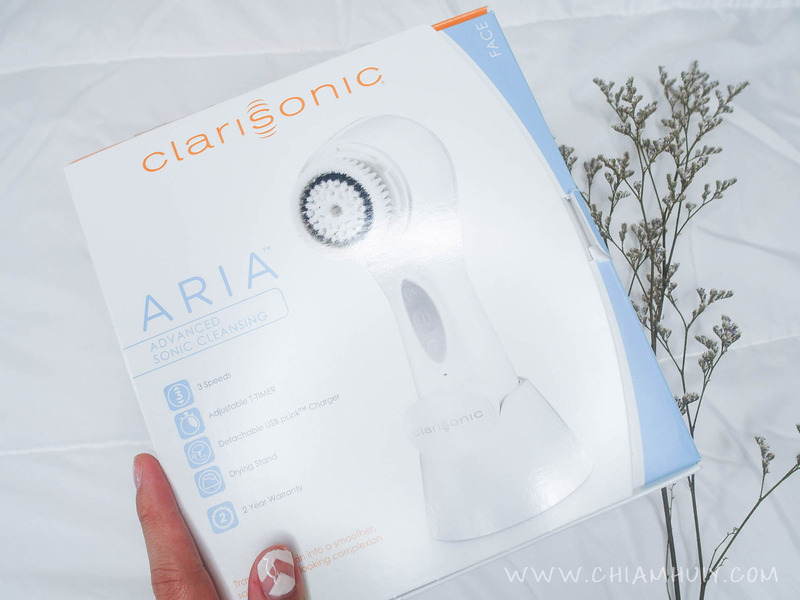 The Clarisonic Aria has three speed options - Delicate, Universal and Powerful. 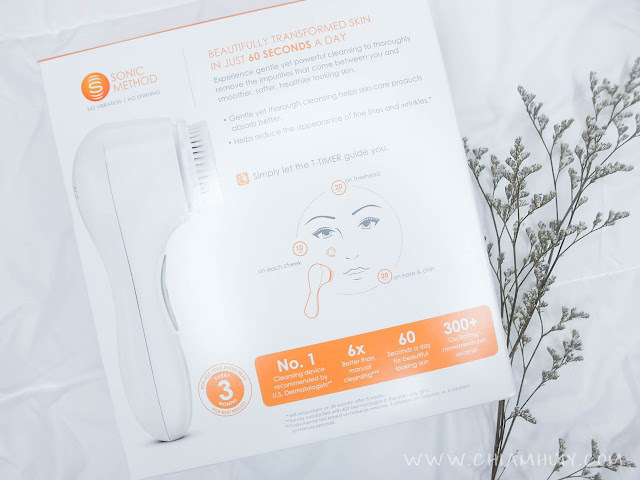 I usually use Delicate (Speed 1) in the day and powerful (Speed 3) at night, but will reduce the speed to speed 1 when it comes to my cheeks. I find that speed 3 is too harsh on my cheeks so I had to reduce the speed. 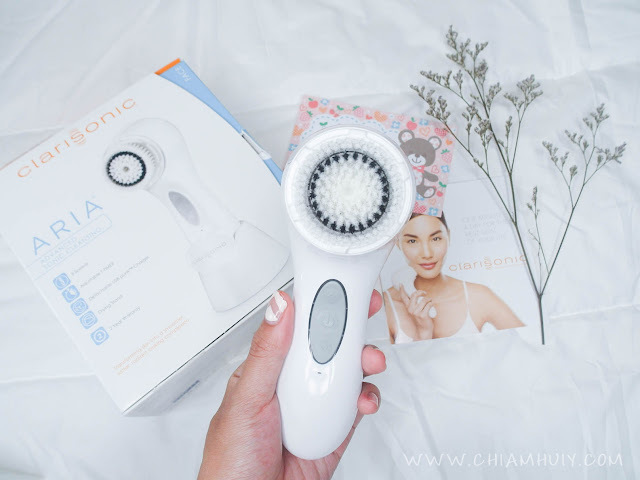 As for timing, Clarisonic Aria also comes with an adjustable T-Timer guide: 20 seconds on the forehead, 20 seconds on nose & chin and finally 10 seconds on each cheek. Sometimes if I have heavy makeup on, I'll continue for another 20 seconds on my forehead, nose and chin for a more thorough cleanse. All in all, it implies that the speed options are there for you to customise and decide based on your preferences and skin condition. If you're asking how do I know how many seconds have passed, the T-Timer is terrific because if gives off a beep sound during intervals of 20s-20s-10s-10s, so that I know it's time to move to the next area. The cleansing device can also be charged using a stand or just by the magnetic charger. Let's put the focus on my foreheard shall we? The photo on the left was taken in early May. 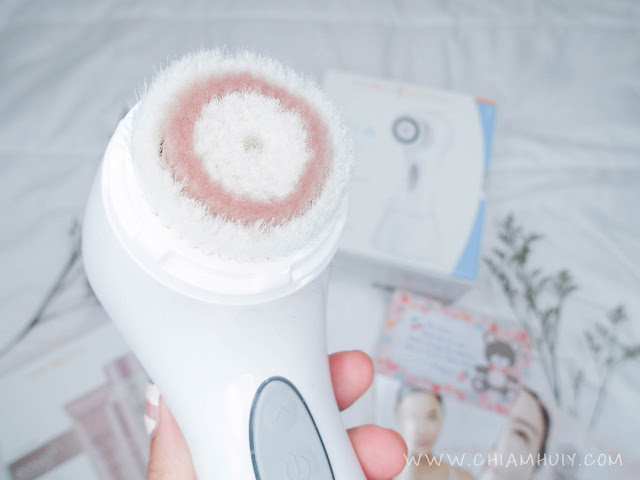 I started using Clarisonic cleansing device and its skincare range in mid Jun, so that makes it about more than two weeks. 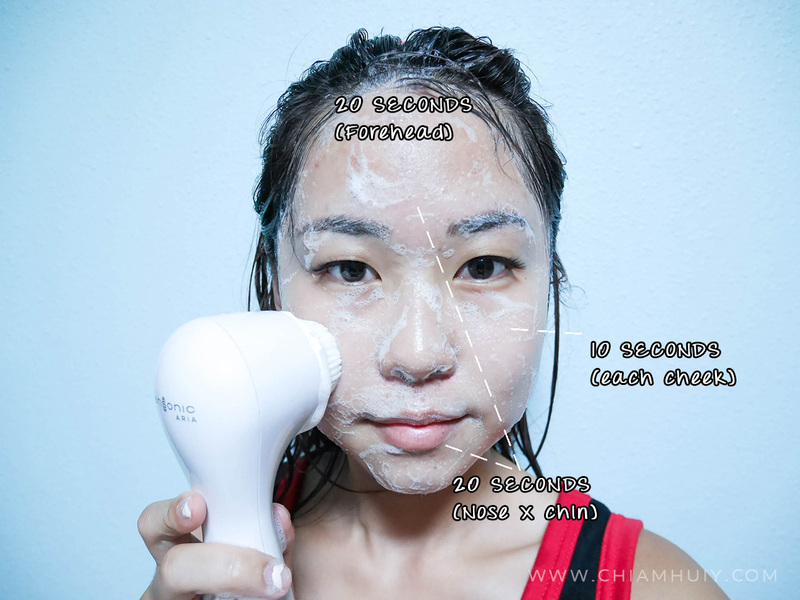 Can you see how much result a good cleansing device and its skincare range can do to my skin and my clogged pores problem? I don't deny there's still bumps around my forehead, but I think we all cannot deny the the number of clogged pores has tremendously reduced. 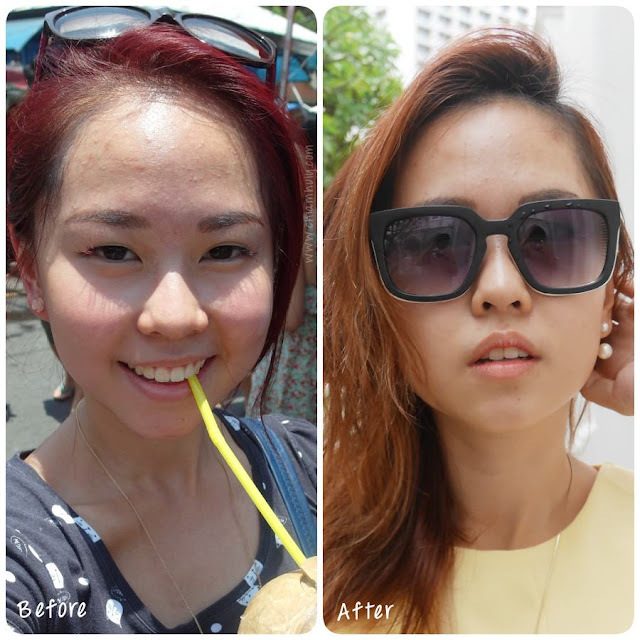 My complexion has also gotten much better, with compliments like brighter and glowy skin coming from my girlfriends. My skin texture has also improved a lot, and I feel that my skin feels very refreshed every time I wash my face with the device. I don't even find the need to use a scrub anymore, although using it once a week is still recommended.